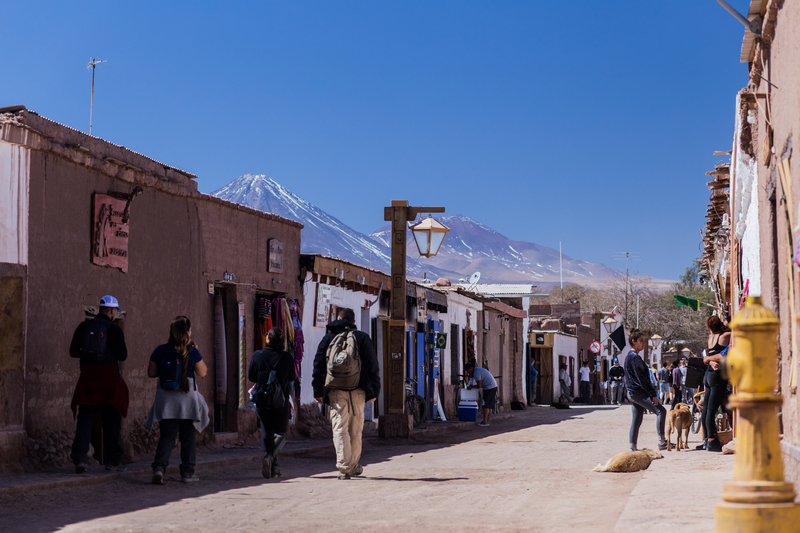 Lost in the middle of the Atacama desert, the first feeling when you arrive in San Pedro is that feeling of being nowhere. The weather can be suprising, the air is extremely dry. The temperature will always vary between25°C by day to 0°C by night. The city is highly praised by the tourist because al lot of tours departure from here. They are mostly two part, first the main street and around, only composed by restaurants, hotels and tour agencies are the most touristic areas. Other of that, it’s where locals live. It might be difficult to choose from all the tour agencies because all the choice you will have. Let me advice you one that gave me full satisfaction, « Whipala ». The guides a totally commited and they won’t « read the book », they know what they are talking albout. It is one of the unmissable of San Pedro. The geysers fiels of El tation (the crying old man) est the third biggest one speaking of superficy. It is at the altitude of 4280m. So it may be prudent to not take this tour if it is your first on your first day arriving, wait a little be to be better acclimated to the high. The best is to go at the sunrise, all the changing colors over the mountains, mixing with the steam colomns will amaze you. Don’t forget to cover yourself well, the temperatures are really cold (-16°c when I was there). For safety reasons always stay the signposts allow you. You can feel the heat of the boiling water just by put your hand on the ground at certain points. Some tours will then drive you at the Bolivian border and to a some village where people are trying to save the old traditions. There you will be able to try some Llama meatsticks. The valley of the moon (vallee de la luna) is also a highly touristic place and for good reasons. The landspace there seems from another planet. You will walk between sand dunes, mountains, rock and salt deposits. Thos last one came from the time when the place was still under the oceans. Another legacy from that time a cristal shaped salt rock which is long of many kilometers. You can visit them and climb on them. There is a path with some red arrows that will guide you around. It goes through caverns so watch your head. You can try to will some salt crystals captured in the rock by using a torchlight or the flash of your cellphone. They look white and a bit translid. Before leaving the place, get close to a wall alone and get silent, you will be able to hear cristals cracking. In my opinion, the most amazing thing in San Pedro is the sky. By daylight it is even blue, almost without any clouds. By night, it gets evn more mind-blowing. 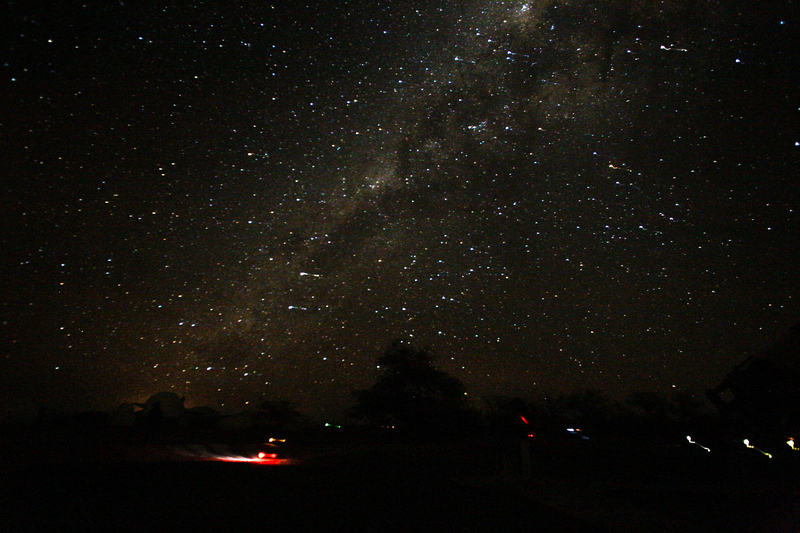 The Atacama desert is probably the best place on earth to star gazing. Many scientists and telescopes are here to study the stars and the sky. The conditions are just extraordinary, no light pollution, very low humidity and no clouds. The milky way above your head is massive and obvious. Just by walking few meters outside the city will be neccessary to see thousands of stars. If you want to learn more, there is a french man who do some tour in french, spanish and english. There is also a very nice meteorite museum in town worthing to take a look.